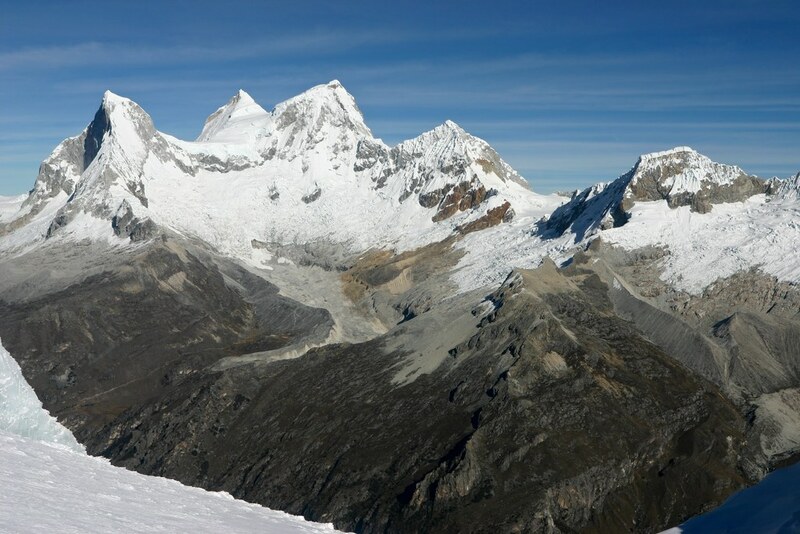 After our failed attempt to climb Chopicalqui due to me being sick, we had just four more days in the Cordillera Blanca before heading south for Cusco, the Sacred Valley, and the Amazon jungle. 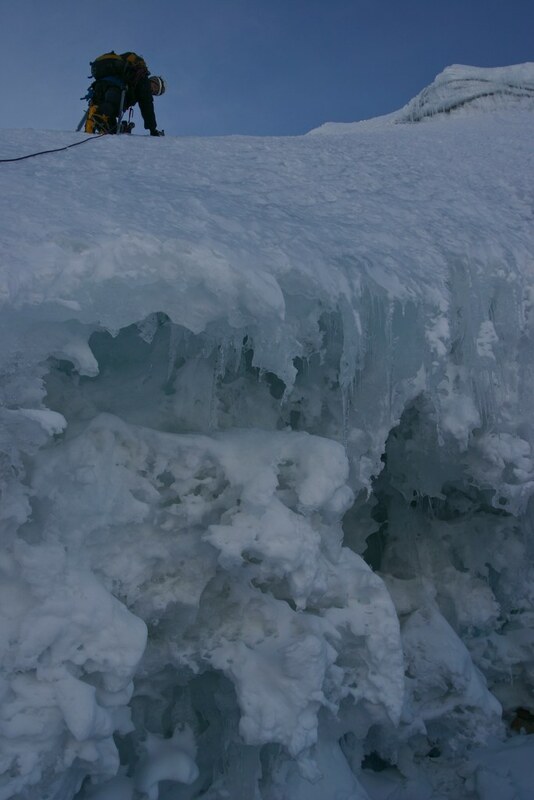 We wanted to climb (successfully!) 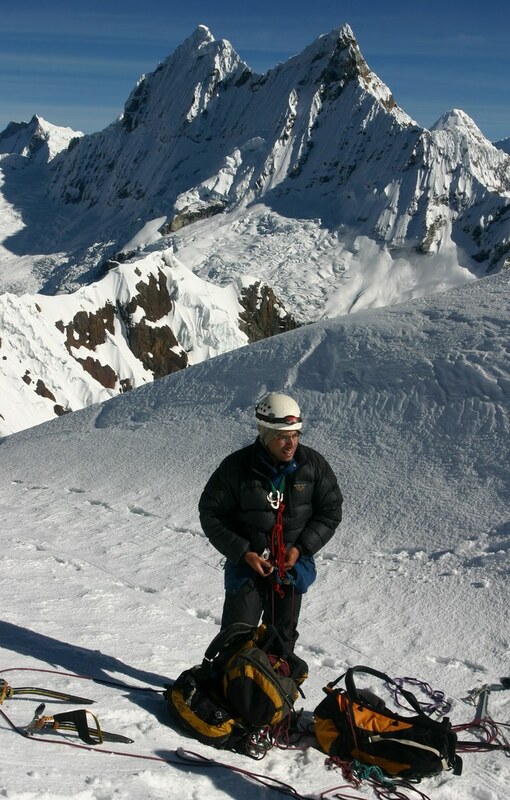 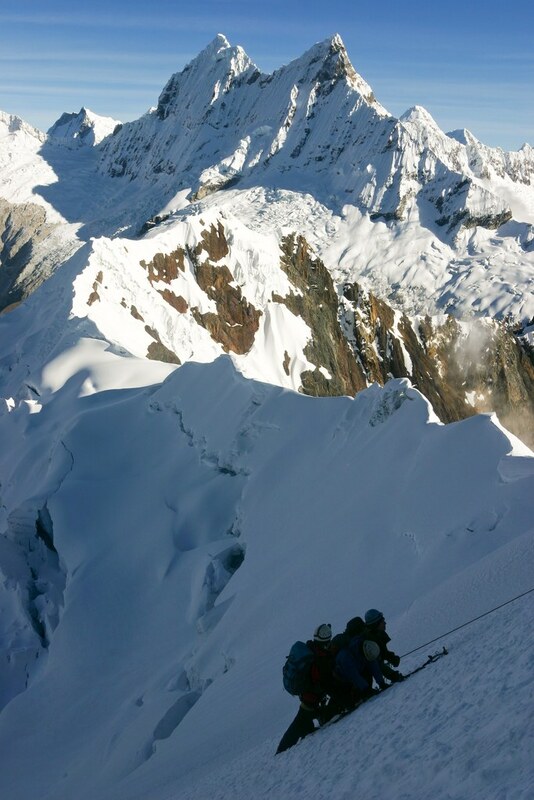 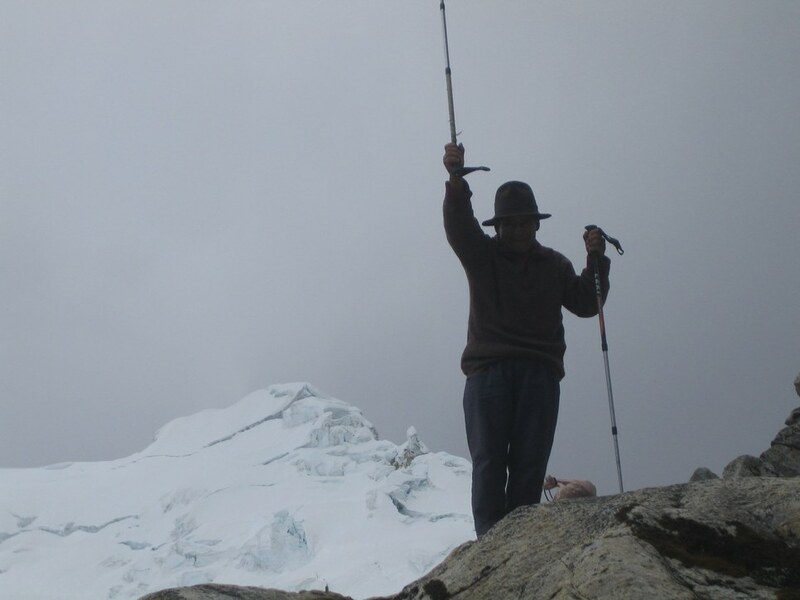 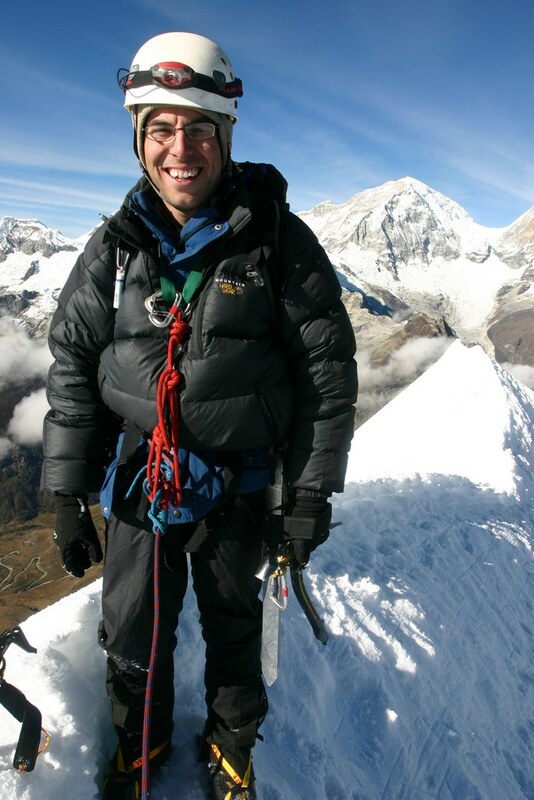 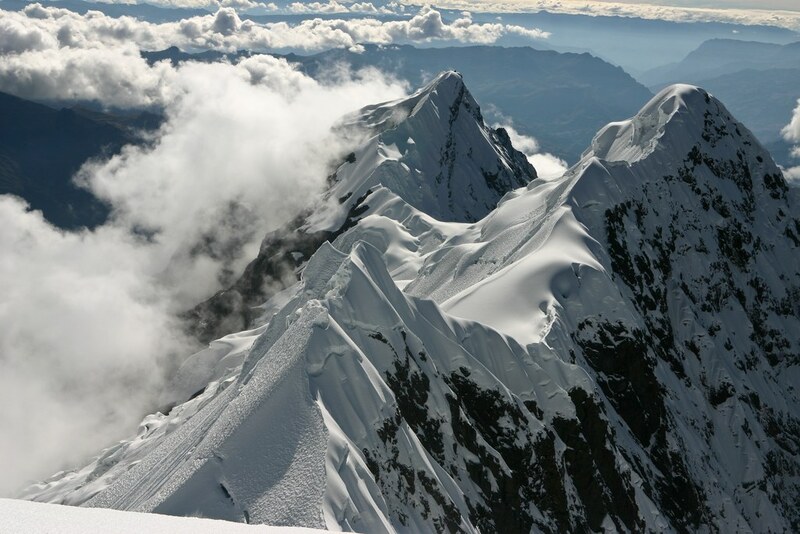 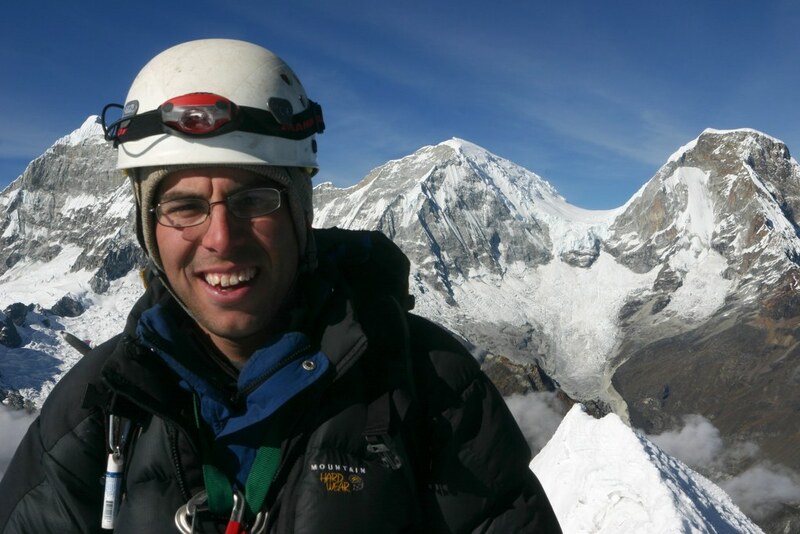 one more peak and picked Yanapaccha (5460 m/17913 ft) in the Llanganuco valley. 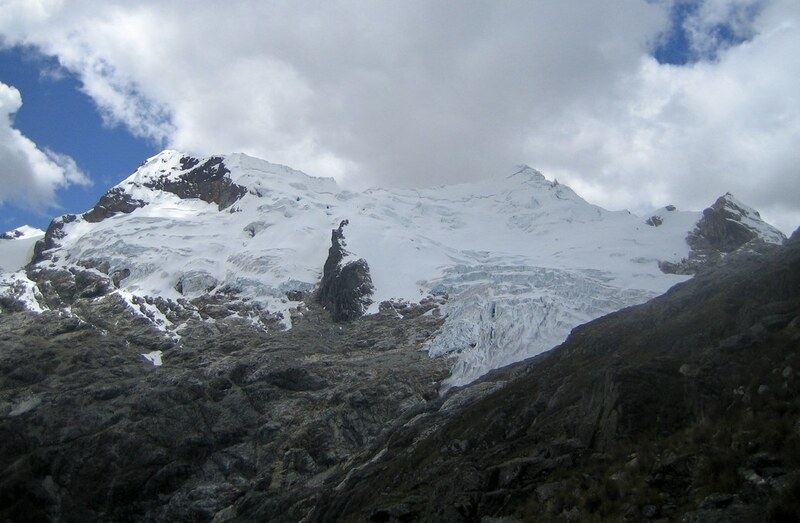 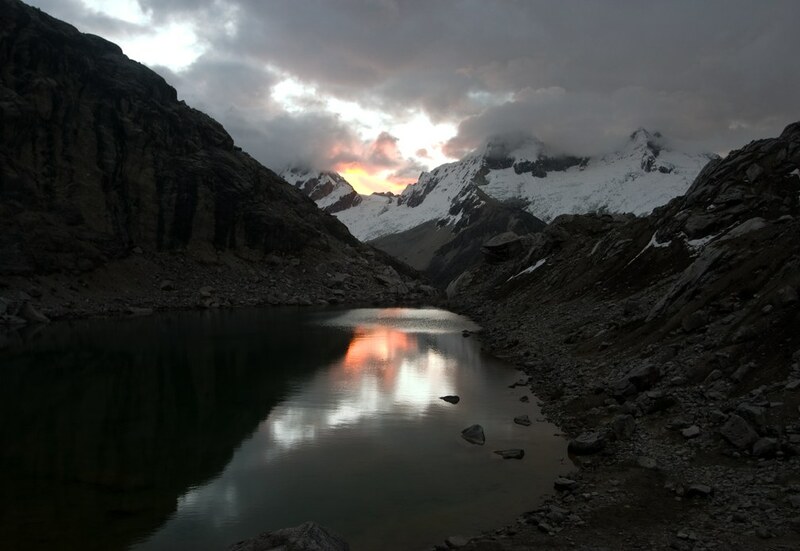 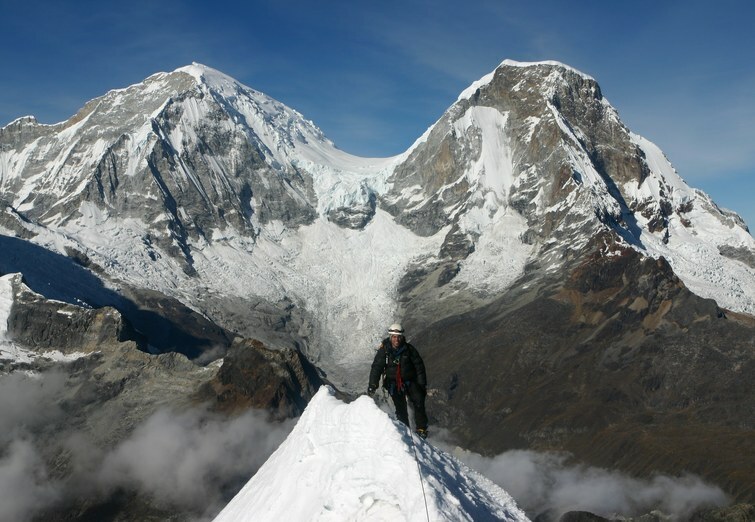 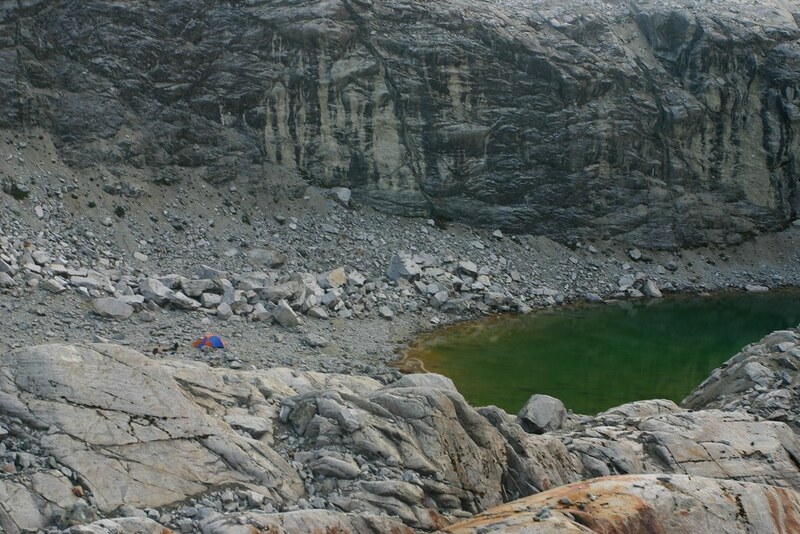 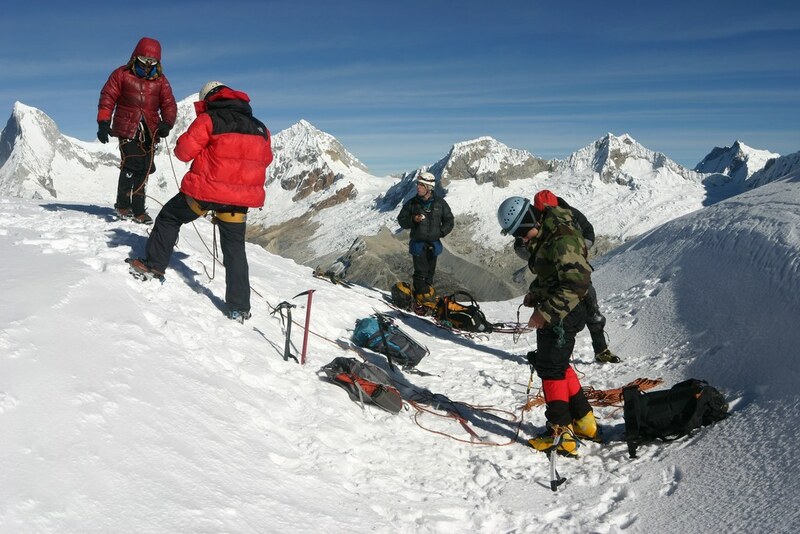 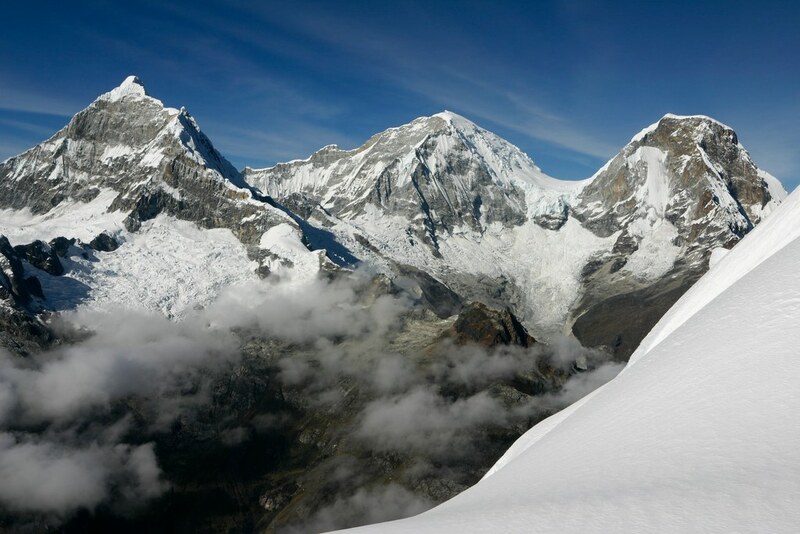 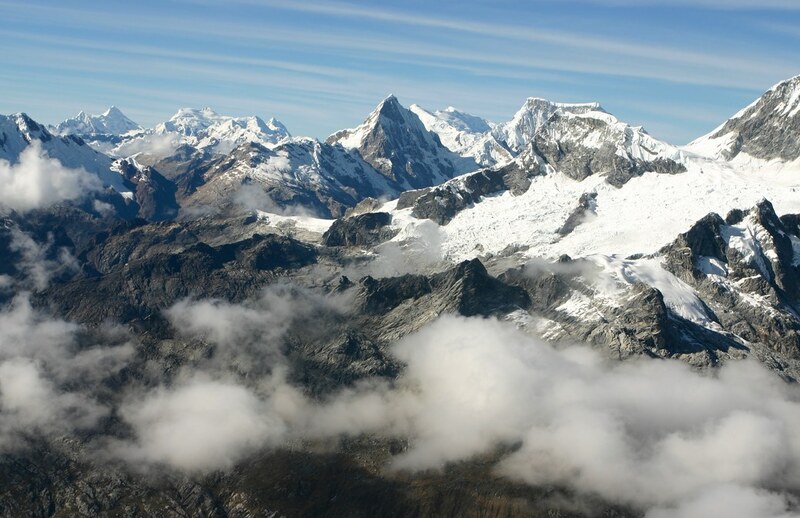 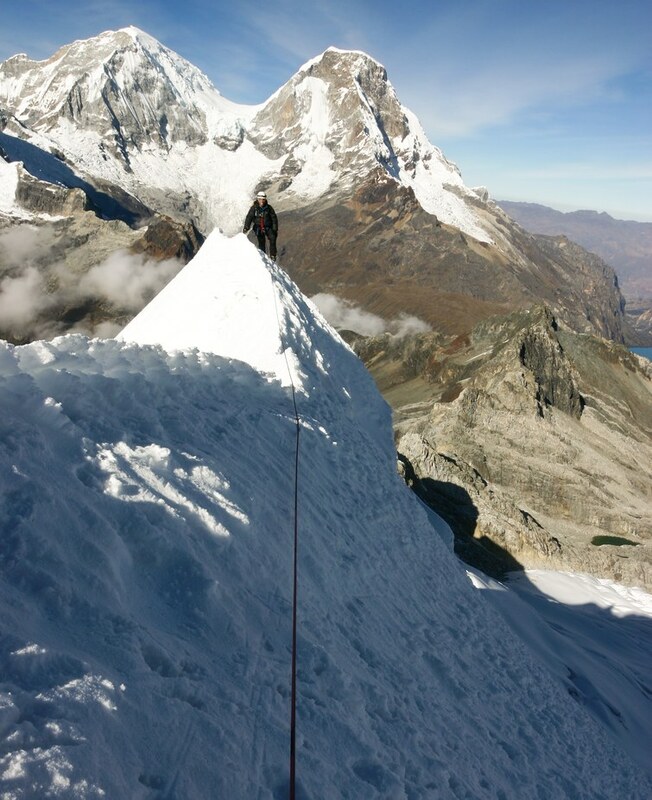 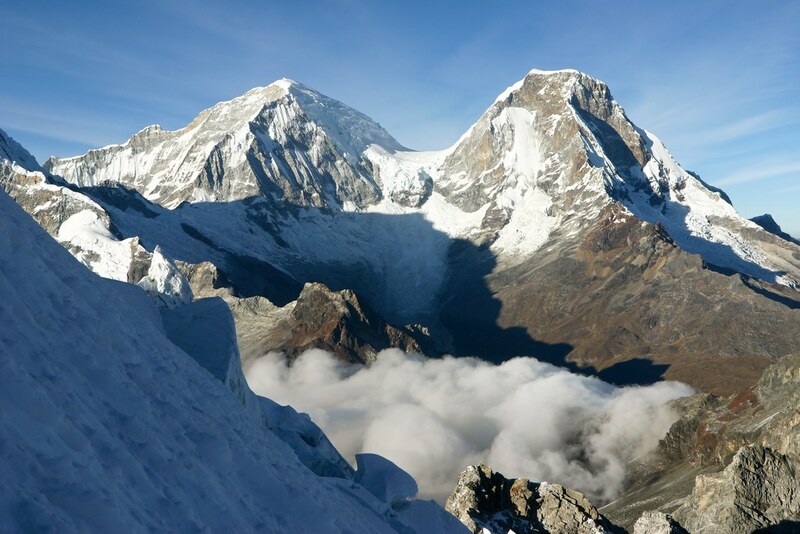 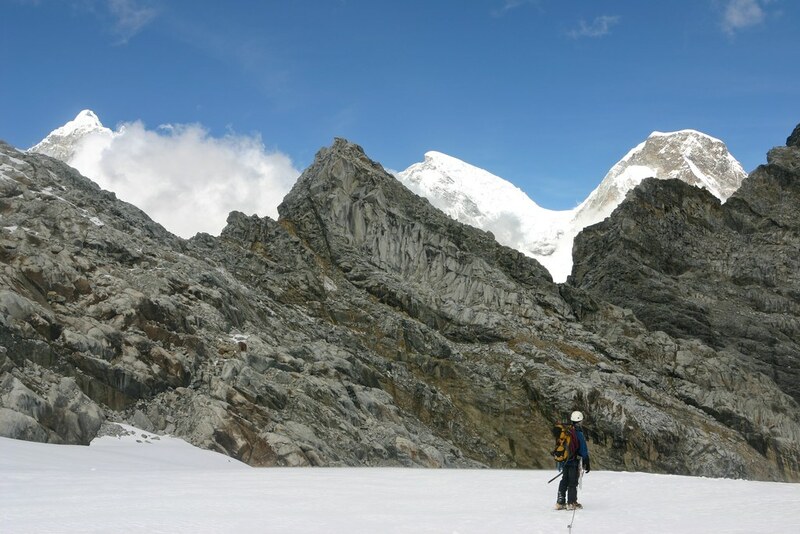 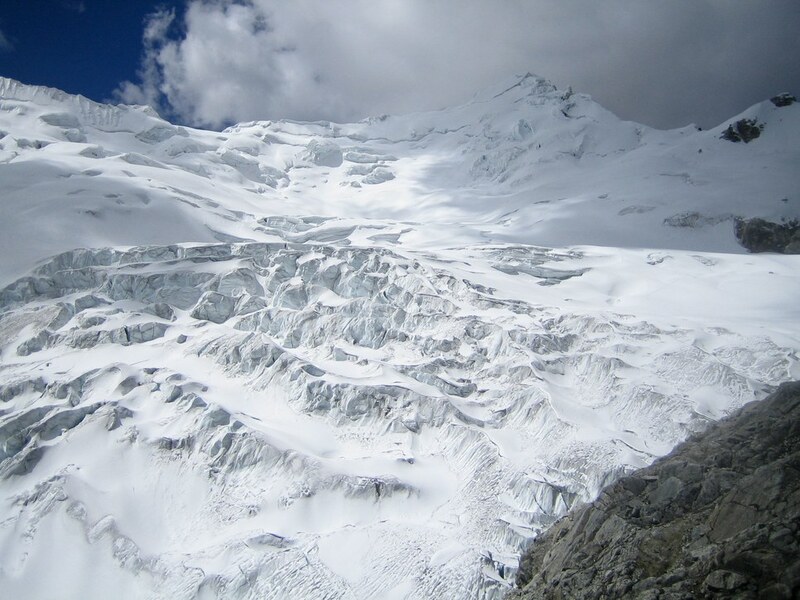 The mountain can be climbed in just two days from Huaraz even though it is more difficult than its neighbor Nevado Pisco that we had climbed a couple weeks earlier. 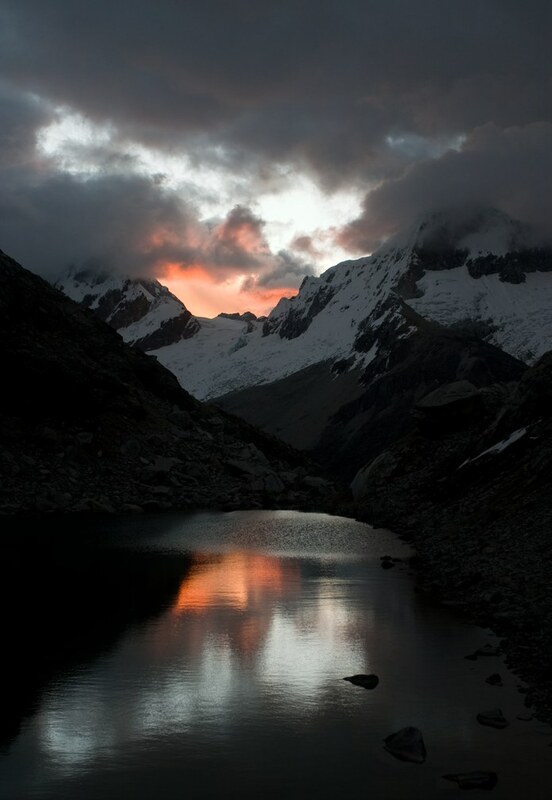 To make a not so long story even shorter: This time everything went well. 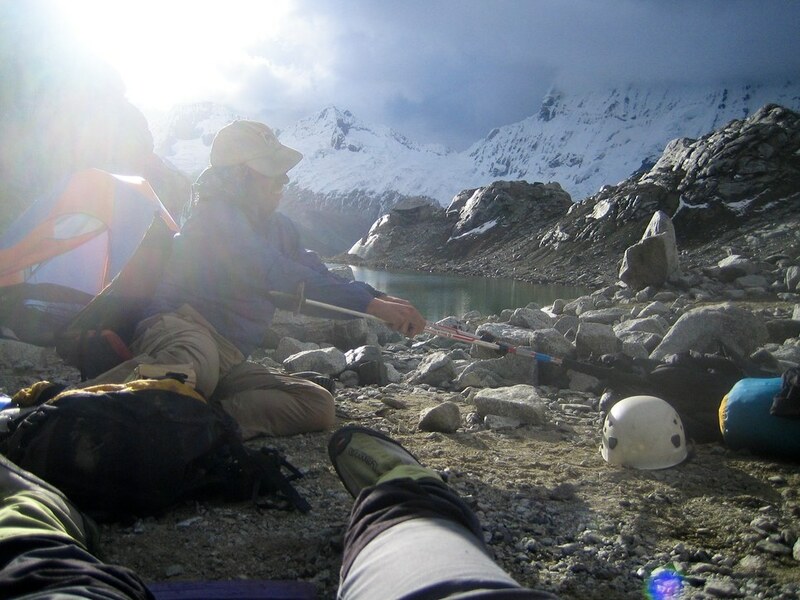 The weather was gorgeous and nobody got sick. 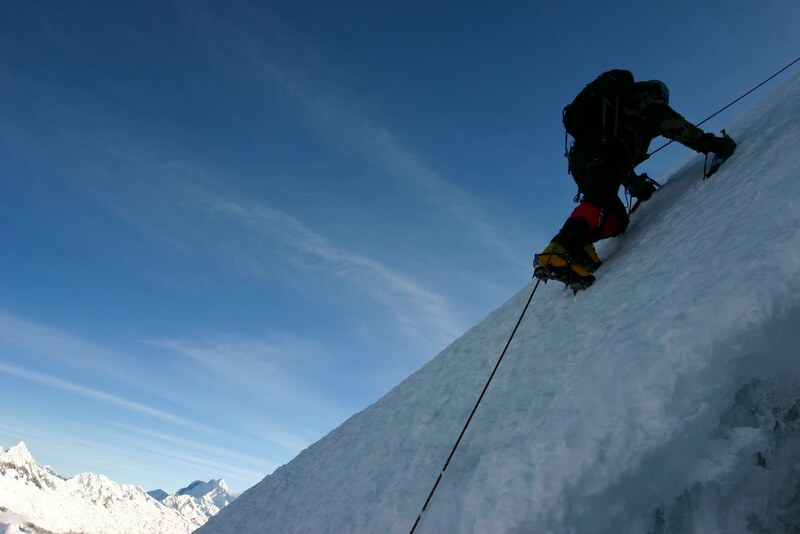 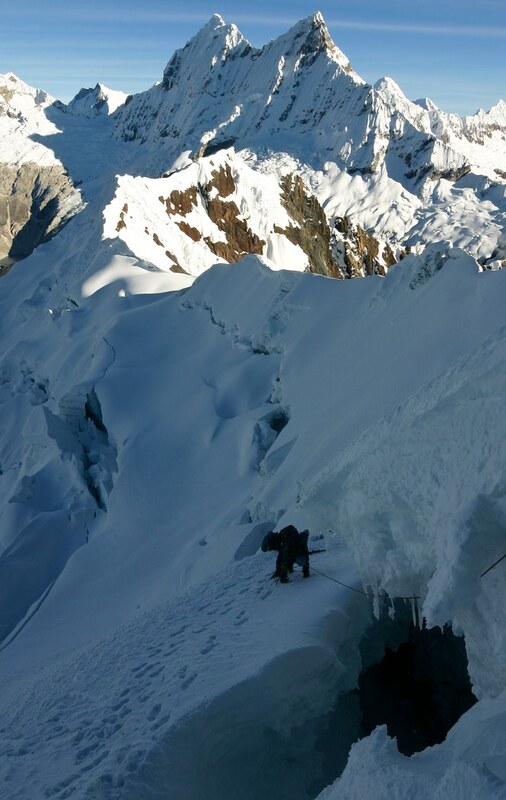 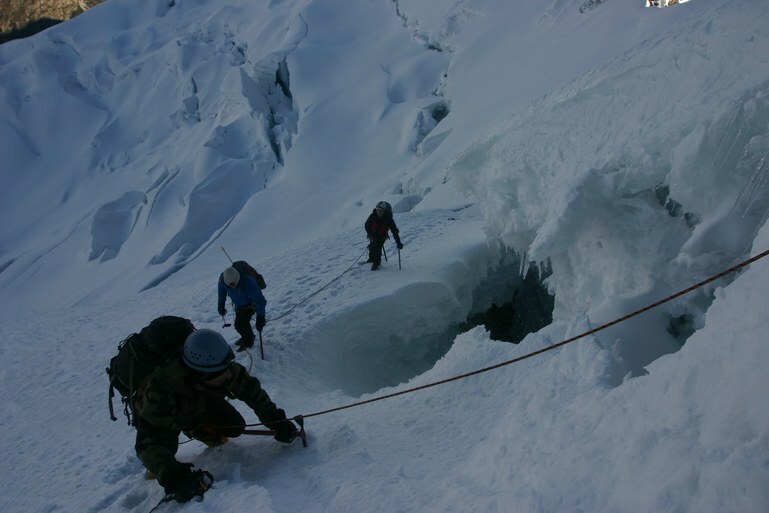 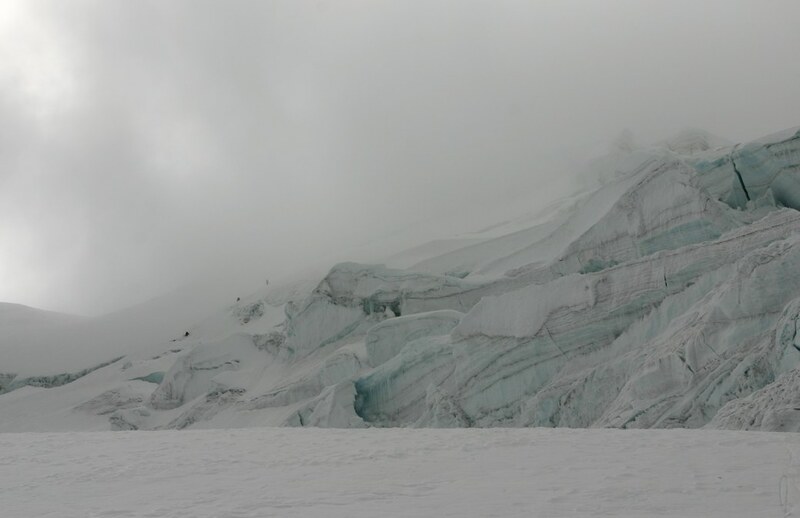 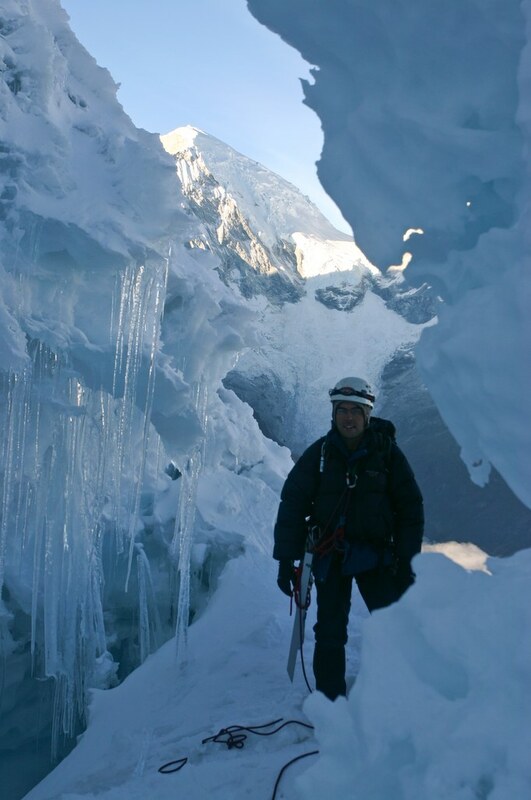 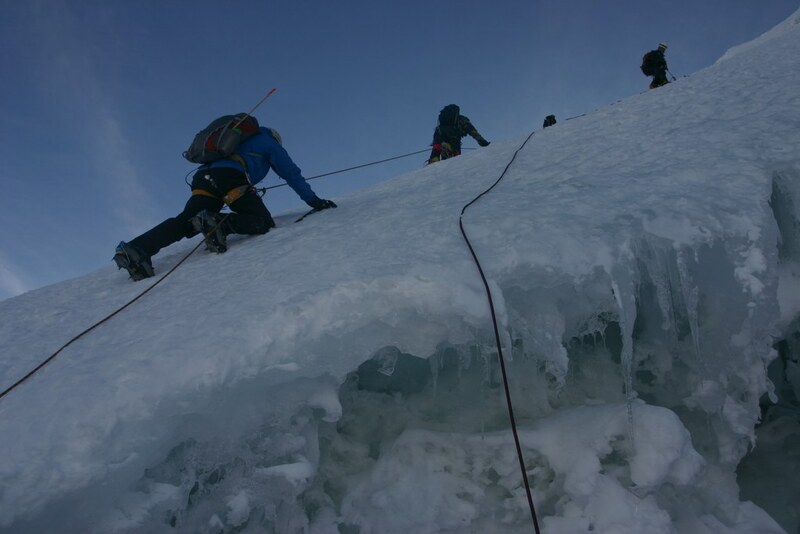 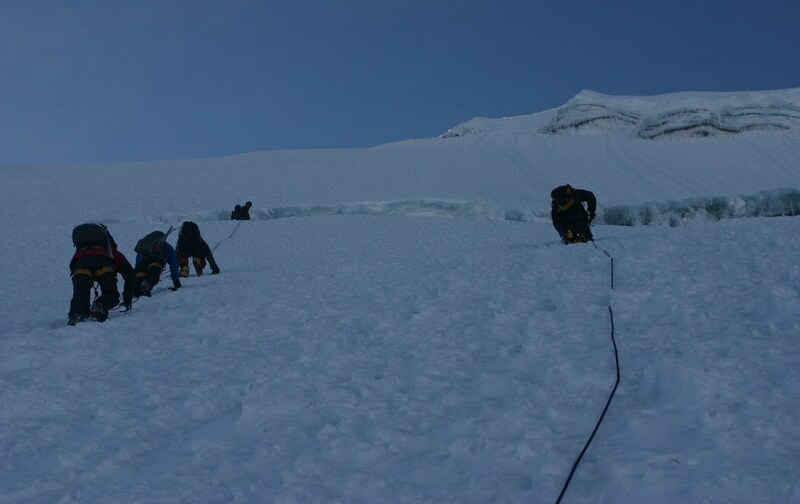 The climb was even more challenging than expected with several pitches of steep snow and a 60-70 degree pitch of ice to gain the glacier. 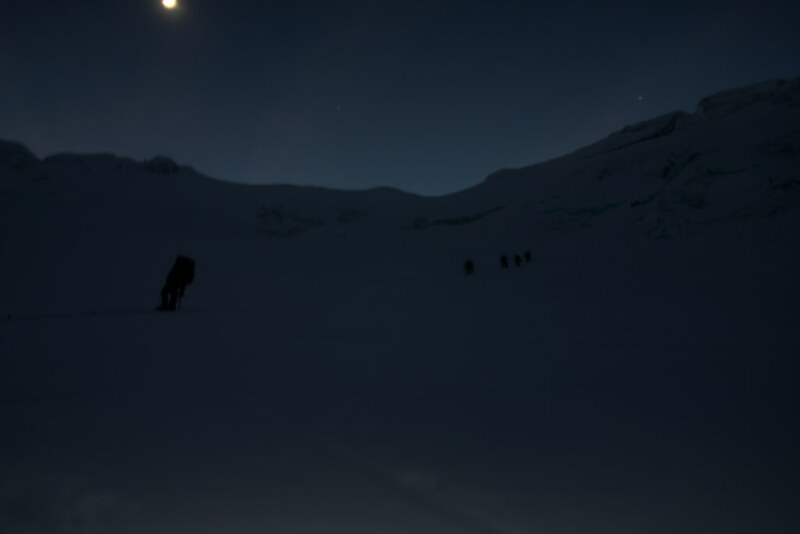 There was only one more party on the mountain on that day, a bunch of nice British guys with their guide and a cook, which made for a pleasant experience. 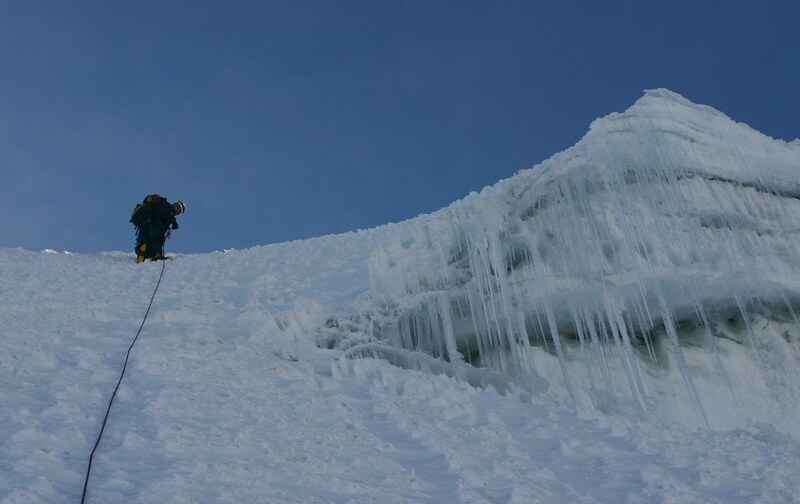 We belayed the steeper sections of the climb using running belays which worked quite well. 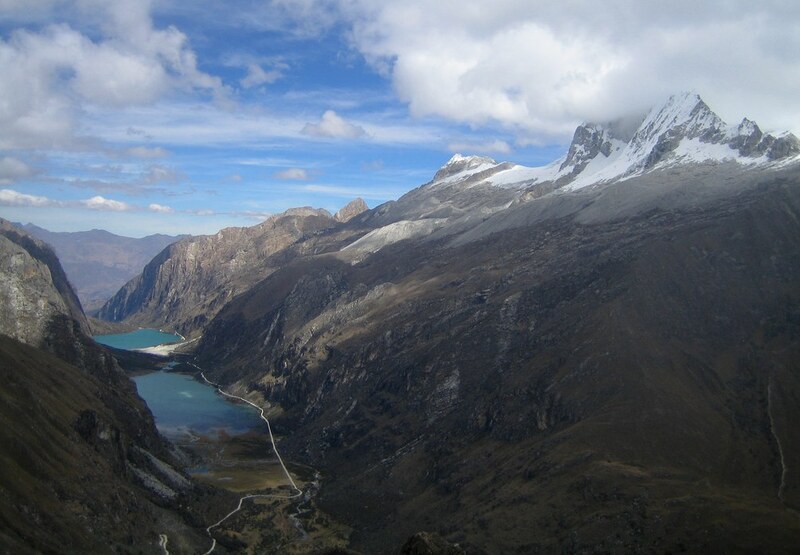 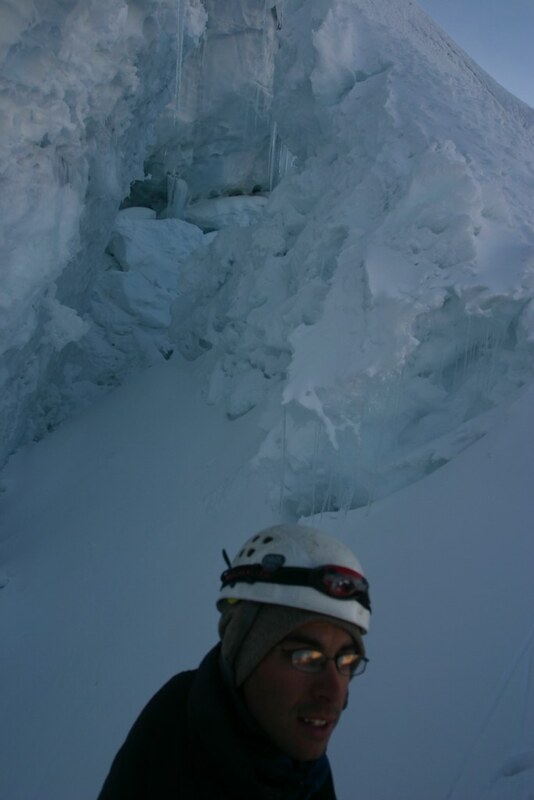 At the end, the most dangerous part of the whole trip was probably rough ride back to Huaraz. 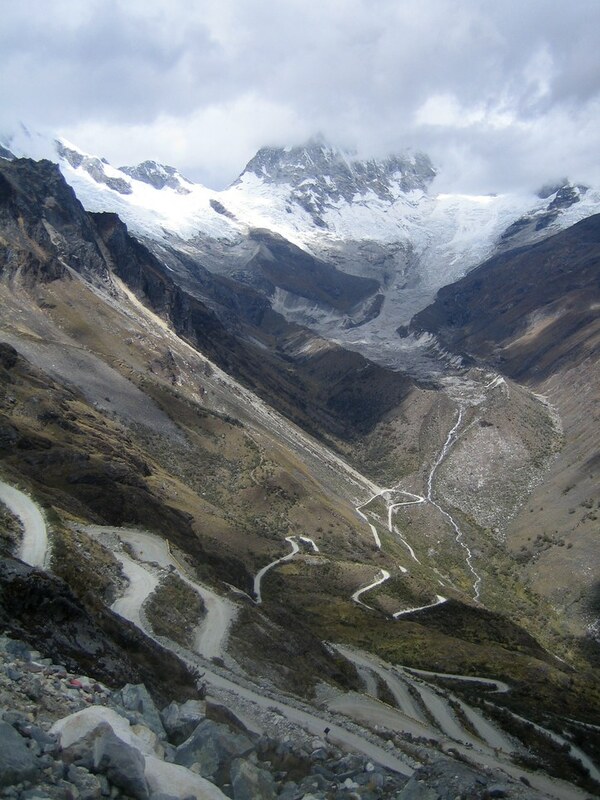 We were lucky to catch a ride on a commuter bus but it was in pretty bad shape and we were relieved when it had successfully navigated the steep and exposed switchbacks toward the pass at 4700 m.
Jim also wrote a trip report of our Yanapaccha climb that has lots of photos.